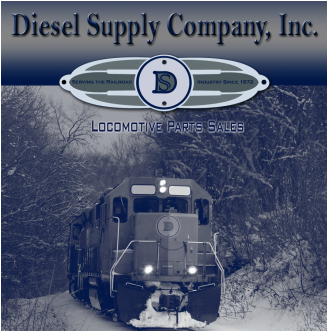 Diesel Supply Co., Inc. is a third generation family owned and operated company that has been in the locomotive parts business since 1972. We have diligently served our railroad, grain, coal, and industrial customers from the day we opened our doors. Fast forward to 2018, Diesel Supply Company operates as a manufacturer of American made A28A and G4684 type Ductile Iron Brake Shoes for EMD & ALCO locomotives. Our products have withheld the test of time, boasting superior strength, longevity, wear and weight, providing a safer and superior alternative to traditional cast iron brake shoes. In addition to manufacturing brake shoes we also serve as a distributor for locomotive lighting, Surrette locomotive starting batteries, and Seats, Inc. locomotive seating.